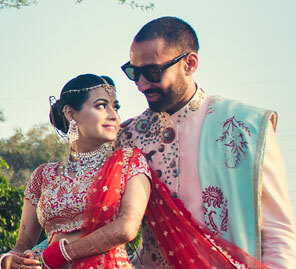 Historic Orchha in Madhya Pradesh was the venue for Rajan and Vishakha's wedding where the bride wore a stunning customized lehenga with unique features. 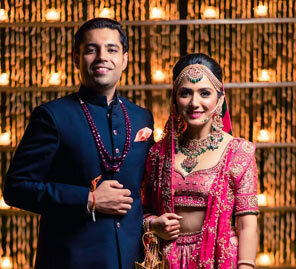 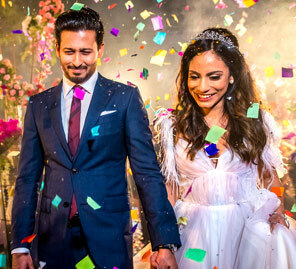 A fun-filled cocktail and sangeet in a palace, pheras in a temple-style mandap and a glamorous reception - Rajan and Vishakha's wedding celebrations lit up the historic city of Orchha. 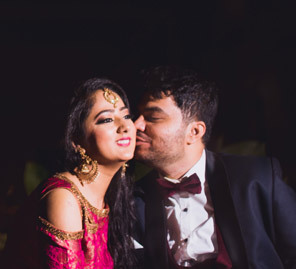 Here, the bride shares highlights from her big day held at the Orchha Palace & Convention Centre.